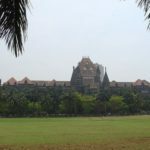 Mumbai, 27th January, 2017: Justice Chinnasamy Swaminathan Karnan of Culcutta High Court and formerly of Madras High Court, wrote to Prime Minister Narendra Modi urging him to take action against “high corruption at the judiciary”. In his letter dated 23rdJanuary, 2017, Justice CS Karnan furnished the prime minister with “an initial list of corrupt judges”, and in addition, three other officers of Madras High Court, who he implied had detailed knowledge and proof of the corrupt acts of the 20 judges. 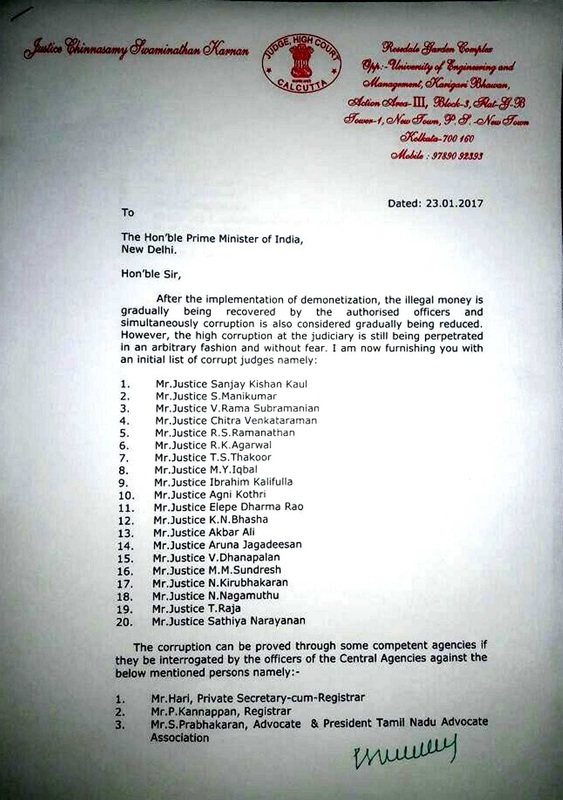 Justice Karnan asked for all these persons to be “interrogated by the officers of the Central Agencies” – probably referring to Central Bureau of Investigation (CBI). 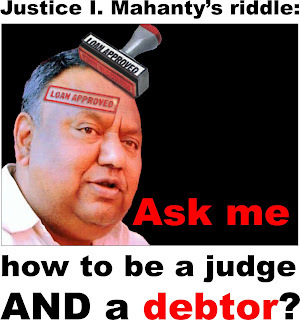 a) Is Justice CS Karnan a judge a nutcase – a man with impaired mental functioning? If so, what constitutional safeguards does the nation have to remove him, to prevent him from damaging the reputation and function of the higher judiciary? b) Alternatively, is Justice CS Karnan a whistleblower revealing rampant corruption in Madras High Court and Supreme Court? If so, what constitutional mechanisms does India have to conduct proper investigation of his allegations? Justice V Dhanapalan of Madras High Court, with whom CS Karnan had a public quarrel. So, in the light of this letter, let us consider whether Karnan is a raving nutcase that the judiciary is unable to rid itself of. Is justice Karnan a living proof of the fact that there is almost no way of getting rid of a bad or incompetent judge? Or is Karnan a whistleblower exposing the corruption of Indian judiciary, and deserving of the respect and gratitude of all Indian citizens? And therefore, is he a living proof of the fact that even a High Court judge cannot bring corrupt judges to justice? 	I Noor Saba 74 years old widow daughter in law of Ex. President of India Dr. ZakirHussain’s cousin honest High Court Judge, Ex. General Secretary Khudi Khidmatgar Party founded by frontier Gandhi Mr. Khan Abdul Gffar Khan had thrown out since 18/4/2015 along with our family at the street of JantarMantar New Delhi for suffering in the age of 74 years by Government of India when I was asking our rights of pension and post retiral benefits of my late husband, who died in 1980 in harness as Principal of Government School, which have not released till date but implicated our entire family in several frivolous Court cases besides divested our dwelling Home to bring us under pressure to not race voice against communal practices of accountable authorities of the Government of India when I asked our Constitutional Rights. We call your kind attention on our unfathomable plight and suffering if a widow of a ordinary School Principal could not pension and post retiral benefits after thirty seven years of his death as to what would be her plight and suffering? 	My late husband Mr. Masood Umar Khan was worthy son of farmer High Court Judge Mr. Justice SarderWali Khan, the General Secretary, Khudai Khidmadgar Party (established by frontier Gandhi Mr. Khan Abdul Gaffar Khan) also one of the founder of Jamia Millia University, New Delhi. My husband was worthy student and Nephew of former President of India Dr. Zakir Hussain. My late husband with farmer President of India Dr. Zakir Hussain were founder of various Schools, colleges, library and faculties of Government Colleges, Rampur, Uttar Pradesh. 	My husband Mr. Masood umar Khan died on 5-4-1980 in harness in the age of 51 years on duty by heart attract.Since 1980 I made deprived from all entitlements of pension and other post retrial benefits of my late husband by officials of State Education Department as I had declined to pay bribe to them for the same. Which has stood proved from pension sanctioning order, Pension payment order and P.P.O. number which are evident of pension and post retiral benefits which have not issued in my favor. 	Though our issue was very little which related to pension and post retiral benefits of my late husband, who died in 1980 in harness as principal of Government school, which has not release till date but the same has became a glaring example of religious intolerance of the communal Judges of the Supreme Court of India as well as authorities of Government of India they are real offender of the original crimes because they are not still in favor of any rights or Justice to us as. Recourse to Contempt Petition:- We had filed a Criminal Contempt in Supreme Court of India to punish the dishonest officers for production of 25 proved fake documents besides a Civil Contempt to enforce the Judgment dated 29-7-2008 delivered by Supreme Court in my favor so the Judgment had been reserved by than Ex, Chief Justice of India Mr. P. Sathashivam on 30-7-2013 That one hand my entitlements of pension and other post retiral benefits had not only divested by communal Chief Justice of India by forging entire fact and Prayer of my matter in which I submitted herein that after the death of my husband the Government of Uttar Pradesh had not released my family pension and post retiral benefits since 1980 till date but twisted facts had incorporated in his fake Judgment to allege on myself that I had submitted in Writ Petition before Supreme Court that after the death of my husband in 1980 the Government of Uttar Pradesh had already paid to me in 1980 so this Contempt Petition was closed All was done not only to save Government officers from their accountability to not grant of pension and post retiral benefits since 1980 till date to which we had spent thirty seven years of our life to get the same but dismissed above said Contempt Petitions from his Chamber without given fair deal to hear to me. 	On other hand the authorities of Government of India in conspiracy with culprits Judges had implicated our entire family in several fake Court cases besides forcibly dispossess us from our dwelling house to bring us under pressure not to race voice against their communal practices which has destructed life and future of our family as whole. We continue to face harassment threat of life fake prosecution for our work in defending human rights and speaking up against violation and abuses as the Communal action of the Government authorities are being defended and promoted by Government of India. 12-1-2015	Inspite the sanction of Hon. President of India issued under Article 124 of the Constitution of India read with Judges Inquiry Act, 1968 and under section 3(2) of Judges Protection Act, 1985 to register criminal prosecution against Ex. Chief Justice of India Mr. P.Sathshivamon ground of their proved criminal misconduct, incapacity and mistreatment. The Home secretary Government of India has not registered any F.I.R against concerned Judges of S.C in between Justice P. Sathshivam has became Governor of Kerala by Government of India to save him from prosecution. I asked information under R.T.I. to Home secretary about status of our Complaint he replied stated that the Complaint has been sent to Joint secretary for action but no action has been taken till date. 16-12-2013	The Department of Justice, Government of India has not conducted any Judicial inquiry into the misdeed of concerned Judges including corrupt public servants of U.P. Government inspite directions (21times issued by president of India) of Hon. President of India issued under Article 39 (A) of the Constitution of India read with section 3(2) of Judges protection Act,1985 issues in Complaint dated 11/12/2013 and 18/7/2014 as well as directions of Hon. Prime Minister of India and Hon. Union Minister law and Justice issue in our application dated 9/9/2015. 18-12-2013	The Chief Justice of India has not investigated Criminal misconduct andincapacity and corrupt practices of the concerned Judges inspite directions of Hon. India issued (thirty times) under Article 124 of the Constitution of India read with Judges Inquiry Act, 1968 and under section 3(2) of Judges protection Act, 1985 to the Secretary General Supreme Court of India. All directions of president of India are being censuring to Chief Justice of India by Secretary General Supreme Court of India Mr. RavendraMethani in pressure of U.P. Government. 21-11-2013	The Chief Justice High Court of Allahabad has not taken any legal action against false implication of our entire family in several frivolous Civil and criminal court cases inspite several directions of Hon. President and Hon. Prime Minister of India. 6-5-2015	The Chief Minister of U.P. Government has not complied direction of Hon. President of India and Hon. 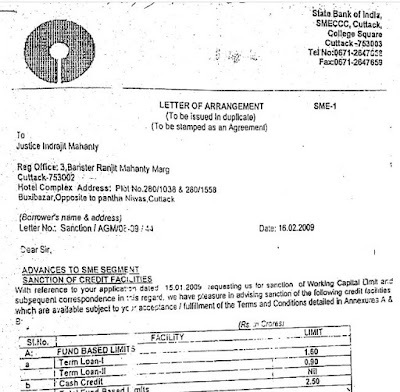 Finance Minister, Government of India so sent to him regarding to release pension and post retiral benefits of my late Husband after raised my issue before parliament of India on 30-4-2015.
last option is left before me:That being aggrieved complete lack of bonafied on part of whole system there is no option left before me to burn all National and state Awards and Medals including Padam sree and Meritorious Service medals in front of the office of the Prime Minister of India to uphold the honor and dignity of human Rights and constitution of India which has destroyed as whole by authorities of Government of India so that no one as me could suffer in future I had already informed to you in this regard on 9th March,2017 the said information had been registered by office of president and prime minister of India as` Your Request/Grievance Registration Number is PRSEC/E/2017/03055 Dated 9/3/2017 Your Registration Number is : PMOPG/E/2017/0134028 dated 9/3/2017. Video’s: Must watch my videos on YouTube to visit https://www.youtube.com/watch?v=WrtxbVwvFZcto see intellectual dishonesty and mistreatment of Government of India. We already requested to Grant asylum in your countries to our family on humanitarian ground to get rid of loss of life, life threading, Cruel, inhuman and degrading treatment extending by Government of India because of our religion and Gender. Myself Noor Saba74years old Muslim Sunni lady my case has became a classic illusion of religious intolerance and mistreatment of the Government of India causing to more than four decades to us and my entire family because of our religion and race which brought in to your kind perusal to your urgent intervene in the matter on humanitarian grounds under international law of universal declaration of Human Rights and under International Violence Against Women Act of 2015 to save our life from loss of life, life treating, Cruel, inhuman and degrading treatment extending by Government of India. That on 23-8-2015 we had already filed a Complaint to human Rights Council united Nation and in each of its respective mandates to give immediate attention to our serious concern and take urgent measure to investigate promptly, throughoutly and effectively all allegations of our information reference No h72pr94c dated 27June,2016 additional information reference No cdzpuedd dated February 13, 2017 but it vain. I am 74 years old Sunni Muslim widow daughter in law of Ex. President of India Dr. Zakir Hussain’s cousin honest High Court Judge thrown out along with our family at the street of Jantar Mantar New Delhi for suffering in the age of 74 years by Government of India when I was asking our rights of pension and post retiral benefits of my late husband, who died in 1980 in harness as Principal of Government School, which have not released till date but implicated our entire family in several frivolous Court cases besides divested our dwelling Home to bring us under pressure to not race voice against communal practices of accountable authorities of the Government of India.we call your kind attention on our unfathomable plight and suffering if a widow of a ordinary School Principal could not pension and post retiral benefits after thirty seven years of his death as to what would be her plight and suffering? Though our issue was very little which related to pension and post retiral benefits of my late husband, who died in 1980 in harness as principal of Government school, which has not release till date but the same has became a glaring example of religious intolerance of the communal Judges of the Supreme Court of India as well as authorities of Government of India they are real offender of the original crimes because they are not still in favor of any rights or Justice to Muslim as well as other Minorities. The Rights of the Muslim as well as other minority are crushing by Indian Judiciary as internal policy of the Government of India so I am not one here. The battle that I was waging against the communal system has been a long and excruciating one, was sitting in Delhi under open air at street/ Road of Jantar Mantar in the age of 74 years on protest against religion based discrimination, tortured and religious intolerance since 19/11/2015 the cold, heat and the discomfort are just trifles as compared to her 37 year long struggle for justice. But it seems justice still eludes me as there has been no movement so far in our concern and authorities of Government of India on 20-4-2017 had forcibly removed my protest camp from Jantar Mantar New Delhi to not speaking up against violation and abuses as the Communal action of the Government authorities are being defended and promoted by Government of India because of her religion and Gender. All things including documents and cloths etc were seized by police taking law in to hand the action of the Government of India is divested rights of freedom of expression. This video is clearly showing mistreatments of the authorities of Government of India which are available on YouTube https://www.youtube.com/watch?v=Wdfe_zc5wdA&feature=share I have no penny to care myself and I am suffering various chronic deceases and ailments and went through a counterless mental harassment and fatigues and suffered grave injury as all sources of our livelihood including shelter have been divested by communal authorities by awarding starvation, tolerates and torture which has destructed life and future of our family as whole. We therefore respectfully request to you to give immediate attention to our serious concern regarding to grant asylum in your contrary under Article 25 of universal Declaration of Human Rights or take any other suitable steps to ensure Justice to us or to urge the Human Rights Council, office of the High Commissioner for Human Rights, United Nation Geneva, Switzerland to treat Noor Saba’s case in a manner that is consistent with applicable international Human Rights law and standard including our Rights be free from Judicial torture and other forms of cruel, inhuman or degrading treatment. The international law has long recognized in assessing whether treatments constitute torture or the lessees, cruel, inhuman or degrading treatment, that the status of victim be taken in consideration. we sure that you and your Government will take seriously social cause to protect our life and respect for human rights. We hope that your representative in all fora will take seriously steps to ensure justice to us. 6. Respectable Mrs. Sonia Gandhi Hon. Chairperson Indian National Congress throughRespectable Sheela Dixit senior leader of Indian National Congress. As per IPC-section 82, Nothing is offence which is done under 7 years of age that is by juvenile -child, because it is presumed No intentions. As per IPC-section 219, public servant in judicial proceedings corruptly making report, verdict, order or decision which he knows to be contrary to law, shall be punished with 7 years imprisonment. Similarly done by an advocate as per advocate act section 35 is gravest. In Mahabharata when Yuvraj between Yudhistra and Duryodhan was to be decided then 4 four criminal were brought who had jointly done murder. Ordinary layman because of minimum knowledge was sentenced 4 years, businessman more knowledgeable 8 years, solder being protector of law life/capital sentence and law teacher decided himself for a painful death punishment. I am also amoung those who are convinced that the judiciary is the most rotten apple in the nation’s basket and it has to be overhauled lock, stock and barrel. And I am afraid nothing can/will be done until things go out of hand and there is a civil war kind of situation. Law makers without any prescribed qualities, qualifications or experience, their men Fridays (popularly known as bureaucrats, who are required to help them in decision making by collecting and collating data and maintaining records) without any accountability and a judiciary which has the scope for the most whimsical decision making being held not only without accountability and beyond criticism but also protected by a totally illogical and weird armour called contempt of court, are the essential features of this Constitution in a nut shell. Amoung the three organs of our Constitution the law-makers are controlled by the people, bureaucracy (yes, bureaucracy, because without the active support of the bureaucracy no politician can do any wrong!) and finally the judiciary; the law-enforcers are also controlled by the law-makers and the judiciary. And then there are the ears and eyes of the people- the media waiting to sensationalise every news involving the misdemeanor of these authorities. In spite of such strict supervision and control all that we can hear these days are about politician-bureaucrat-underworld nexus even though the fact remains that none, worth the name, from this unholy nexus have ever been punished by the holier-than-thou judiciary. So now think how bad a system can be which is not only NOT subject to supervision but also kept beyond critical observation. Well isn’t our judiciary is just that? And do I need to recapitulate that quip: power corrupts and absolute power corrupts absolutely? I support issues raised by Justice karnan. I am also the victim of corrupt judiciary. It is better we clean the system. I support the issues raised by justice Karnan. I am the victim of corrupt judiciary. He has not named some judges against whom I have proof. It is better we clean the system. I wholeheartedly Support Justice Karnan. At least he has courage to bell the cat. 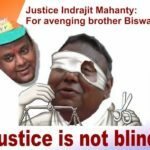 I am also a victim of corruption and syndicate raj in judiciary. A lot judges are shamelessly disobeying constitution and patronizing criminals. I also wrote to PM Modi and his office directed WB Govt to look into this matter but nothing happened. Even I was tortured by police for protesting against fake court papers. Really surprising list..still corruption rate is going on increasing,hope J Karnan’s letter will make some change. Get more updates on PM Modi and other politicals heat. Any mute response to this allegation either by judiciary or by the government will cast an aspersion on them rendering them ineligible to vouch for a corruption free governance. Hi, thanks fr ur posts. I enjoy reading them. Re this article was surprised to see Justice Thakurs name in the list. Hence am wondering abt the veracity of this list. Of course I don’t know a thing about J Karnan or any of the other judges. These r just thoughts I am speaking aloud! That is the question the article raises. What is the credibility and do we even have the mechanisms that would be needed to resolve issues like this?